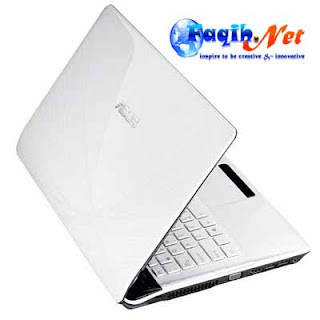 Articles about "Asus X42JE-Specifications Core i3" in this website is free. Read our reviews for "Asus X42JE-Specifications Core i3", gadget price, specs, features and find more latest Electronic Gadget Reviews and News. ASUS X42JE Specifications-Asus Laptop Series with White color (X42JE-VX099V), X42JE Series, Intel Core i3-370M Dual Core 2.4GHz 3MB L2 Cache 1066MHz FSB, 3072MB DDR3-1066 SO-Dimm Memory (1x2048,1x1024), 0.3MP Webcam, 6 cell battery, Bluetooth, Full Keyboard, Microsoft Windows 7 Home Premium Edition 64, 2.36kg, 2 Year collect and return warranty, USB Mouse, 320GB SATA 5400rpm Hard Drive, DVD Super Multi writer optical drive, 14" WXGA HD Color Shine (1366x768 Resolution) TFT LCD display, ATI Radeon HD5470 with 512MB dedicated graphics, 802.11b/g/n Wireless LAN, 10/100/1000 Gigabit Ethernet Lan.